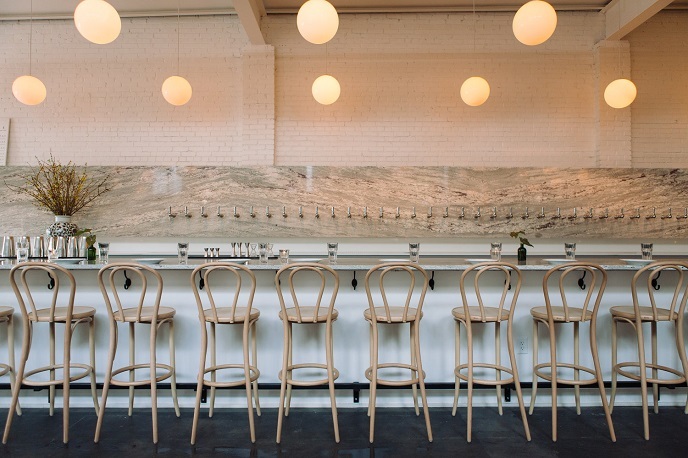 Brewery Bhavana: Named a Top 10 &apos;Best New Restaurant&apos; by Bon Appétit! What do you get when you mix books, beer, blooms and bao in Raleigh, N.C.? One of the top 10 new restaurants in the country! 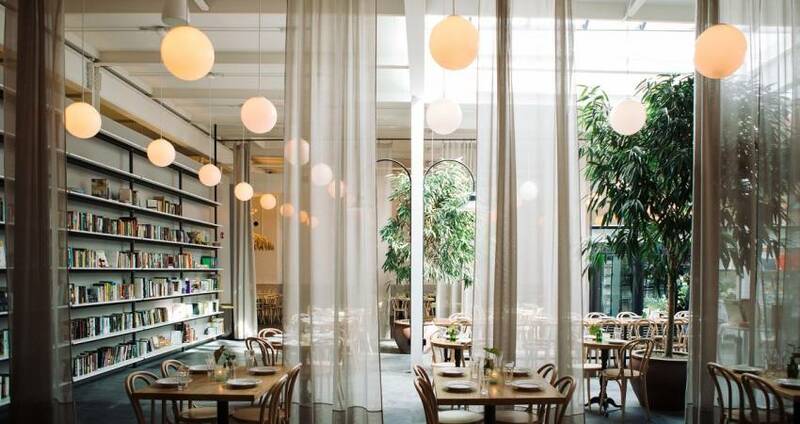 Bon Appétit has named Brewery Bhavana—the brewery, bookstore, flower shop and dim sum restaurant all rolled into one incredible offering—to their annual Hot 10: America&apos;s Best New Restaurants 2017 list. The list, which has been published since 1993, makes up the 10 "tastiest, most exciting places we ate over the last 12 months," according to Bon Appétit deputy editor Andrew Knowlton, who traveled 35,000 miles and ate more than 1,000 meals across 40 U.S. cities in the last year. The list was narrowed down from the top 50 finalists which were announced on Aug. 1. Brewery Bhavana was the only restaurant from N.C. to earn a spot on either list. Three years in the making, Brewery Bhavana has been a smashing success since the day it opened in late March of this year. The four-in-one concept is "an unprecedented spot" and "a community center for like-minded locals who value diversity, open-mindedness, and yes, Cantonese barbecue pork buns," according to Bon Appétit. The food—a modern take on dim sum, served alongside a menu of larger plates—is best ordered generously and shared with many. You&apos;ll want to try the pork bao, the crispy pig ears and the Peking duck (whole, barbecued duck served with Chinese pancakes—a favorite of the owners). The beer, brewed just a couple blocks down the street, fills more than 40 taps along a marble wall and offers a host of experimental beers that include sours, saisons and barrel-aged brews (you can&apos;t go wrong, but consider a Glean, a mango peppercorn saison, or a Wilt, a cherrywood smoked quad). 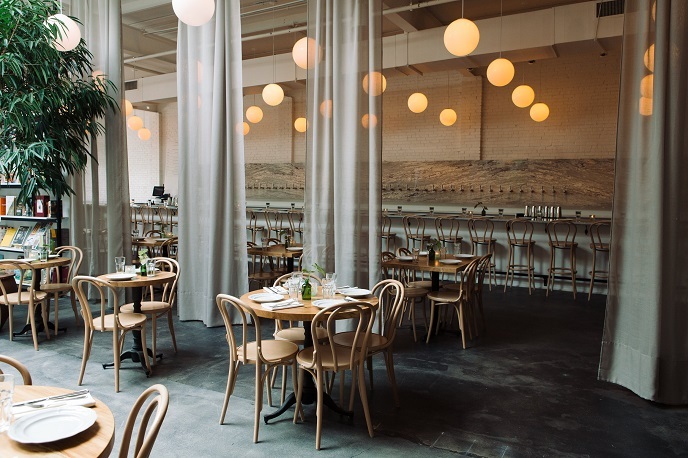 As evidenced by the photos, the interior at Brewery Bhavana is gorgeous—carefully thought out and meticulously constructed (Van studied design at North Carolina State University, and it shows). A large conservatory skylight floods the dining room with natural light, plenty of flowers and greenery fill the open space and thousands of books wait to be discovered upon shelves. Bon Appétit describes the vibe as "bright, light and cheery"—no arguments there! Brewery Bhavana is located in downtown Raleigh&apos;s Moore Square Art District. They are open for dinner, Tues.-Sun., as well as lunch, Tues.-Sat. The bookstore and flower shop are open during lunch and dinner hours from Tues.-Sun. Reservations are recommended, especially for groups of more than two. Interested in more new dining hot spots in Raleigh? Check out this list of five more recently-opened spots that are absolutely worthy of checking out on a trip to Raleigh, N.C.